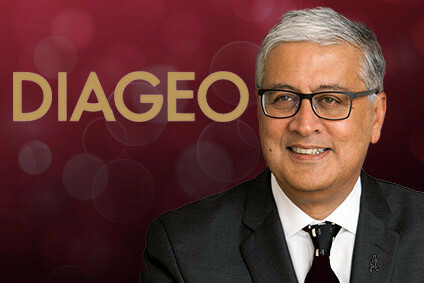 With European markets becalmed and continued economic uncertainty in the US, the emerging markets of Brazil, Russia, India and China have assumed even greater importance for Diageo. Richard Woodard assesses the company's progress and prospects in the BRIC countries, in the context of Diageo's current global performance. 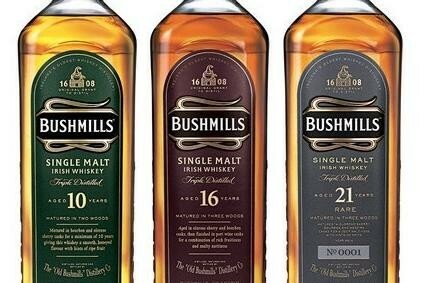 All things considered, Diageo CEO Paul Walsh had good reason to feel satisfied when unveiling the multinational's interim results at the end of August. Operating profit up 7%, double-digit underlying EPS growth and the company's major brands out-performing their markets. Tanquerays and tonic all round! Indeed, the company's performance in the key North American markets was cause for celebration in itself, showing a 7% net sales increase with profitability enhanced by recent price rises. But there are question marks about the US economy, saddled with huge amounts of debt amid uncertainty about oil and energy prices; if the market has reached a high water mark, could Diageo yet regret pushing those price rises through? Europe, meanwhile, remains tough across all sectors and although maintaining sales was a sterling effort in such trying circumstances, the company is in reality only treading water. Guinness shows no signs of turning the corner in Ireland, and, like other companies, Diageo has suffered from the marked slowdown in the once booming RTD sector. That leaves Diageo's International division in a crucial position to drive long-term growth for the company by developing markets in Asia and Africa. Volumes in these regions may be slim in comparison with Europe and the US, but the potential is very exciting indeed. It's impossible to discuss this part of the business without assessing the company's prospects in the BRIC (Brazil, Russia, India and China) markets, although Russia is actually part of Diageo's European business. The company's track record in this area is a little sketchy, even if it is trying to make up for lost time now. In Russia and India particularly, Diageo has been very active of late, drawing up agreements with A1 and Radico Khaitan respectively. Meanwhile, Brazil and China have seen increased investment behind Johnnie Walker in particular, focusing on larger metropolitan areas with their increasing disposable income. Diageo is well placed in Brazil, although this is the most disappointing of the BRIC economies at the moment. But more importantly the company is also in a position to exploit the broader Latin American market, whose prospects are good in the medium term. There's another tick in the box for Russia and Diageo Distribution, the joint venture with Alfa Group subsidiary A1 Group Limited, which started business earlier this month. The potential for premium spirits in Russia is high, but the cultural association with native vodka remains a challenge in terms of consumption trends. With the new venture, Diageo has crucially acquired a route to market - just about the toughest part of doing business in Russia - plus a premium native vodka brand in Smirnov. That the deal also heads off any challenge to flagship brand Smirnoff is an added bonus. India has been a trickier area. Only four years ago, Diageo sold off its Gilbey's Green Label IMFL (Indian Made Foreign Liquor) brand - and yet now it has signed up to a 50/50 IMFL joint venture with Radico Khaitan. Diageo International president Stuart Fletcher might talk about market changes and the growth in the professional classes, but some observers have suggested the change of tack smacks of indecision. That criticism aside, the new venture is a smart way of tapping into the growing premium spirits market while enhancing the visibility of the company's international brands, which operate independently of the joint venture. It's no coincidence that Diageo's biggest ever Smirnoff Experience promotional event was held in Mumbai recently. Now it simply needs the Indian government to lower its cripplingly high import tariffs to capitalise on what could be the most instantly rewarding of the BRIC markets for spirits companies. The cultural links are there, the love of spirits is ingrained in the sub-continent's consumer culture and there is a growing middle class eager for the cachet of Western brands. And so we come to China. If there is a market in the world where Diageo's strategy could be questioned, it is here. The company might point to the recent success of Johnnie Walker and increased investment behind the brand, but the figures tell another story: Johnnie Walker Black Label up 63% to 201,000 cases in 2005; Chivas Regal 12-year-old up 120% to 660,000 cases (all figures from IWSR/Global Drinks Record). The total imported spirits market may be only 2.5m cases, but last year it went up by more than 60% - so all JW is doing is keeping pace with the market. It shows how long-term strategic decisions can have unlooked-for consequences. In the 1990s, Diageo decided on a low investment strategy in China and even though it has changed that strategy more recently and is ploughing resources into Johnnie Walker in particular, the gap with Chivas is still widening. Walsh admits the company is behind the game - but it does at least have the resources to put that right in the medium to long term. In fact, Diageo has a bit of history when it comes to emerging markets. It got its fingers burned when putting up Guinness prices in Nigeria just as the market started to soften, while the notorious volatility of Taiwan and South Korea has dented its Scotch figures too in previous years. Of course, it's never as easy for huge corporations to move dynamically and quickly in new markets, although Pernod Ricard's Chivas Brothers has proven an exception to that rule in China. The main focus is bound to remain on the areas of the globe which provide the lion's share of the company's turnover and profits - and shareholders are unlikely to argue with that as a plan. But with Western Europe likely to stay stagnant and North America facing question marks over its future economic prospects, getting the strategy right in these emerging markets is ever more important. 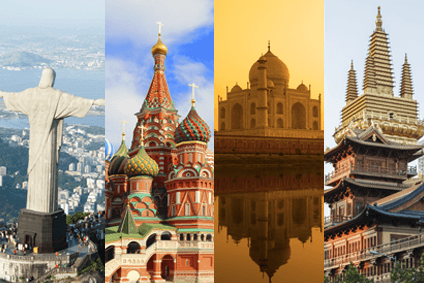 The BRIC countries in particular - and India and China especially - will prove their worth when more mature markets have stopped looking quite so attractive. That won't happen in time for next year's results presentation, but Diageo may yet regret any lack of dynamism in five or ten years' time.